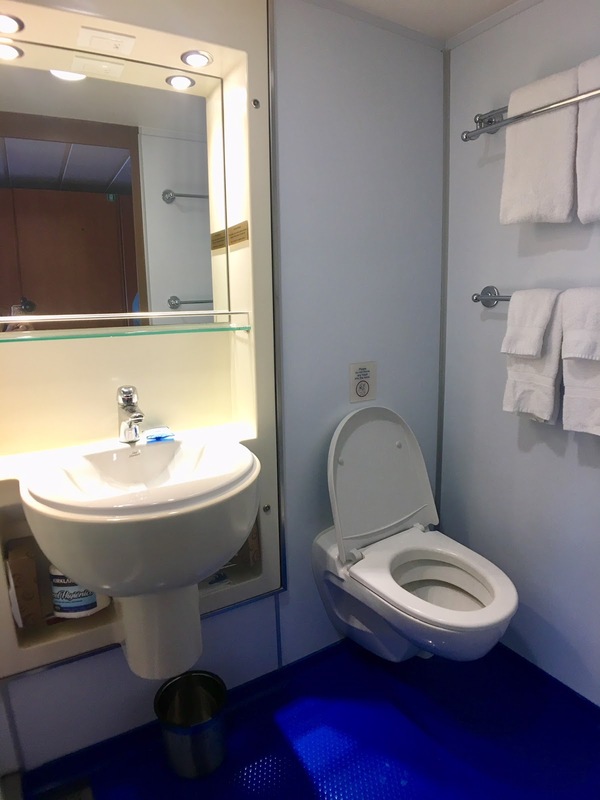 This post is in collaboration with Carnival Cruise. However as always, opinions are my own. 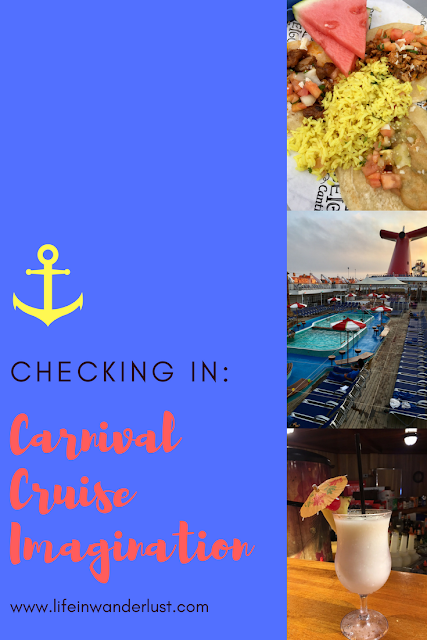 If you've been following my blog the past few weeks, you know I've partnered with Carnival Cruise for 3 posts (10 Things To Know Before A Cruise & 10 Things To Pack For A Cruise) and this is the final one! I had the amazing opportunity to take the Halloween Carnival Voyage from Los Angeles, California to Ensenada, Mexico on the Carnival Imagination this past weekend for 2 days. In good Southern California fashion, the weather was absolutely ideal for cruising and what a great getaway it was! The Carnival Cruise Baja Mexico route is perfect for people that have never cruised before but curious to try it. Whether you're retired, with children or a couple like my husband and me, it's an absolute blast. 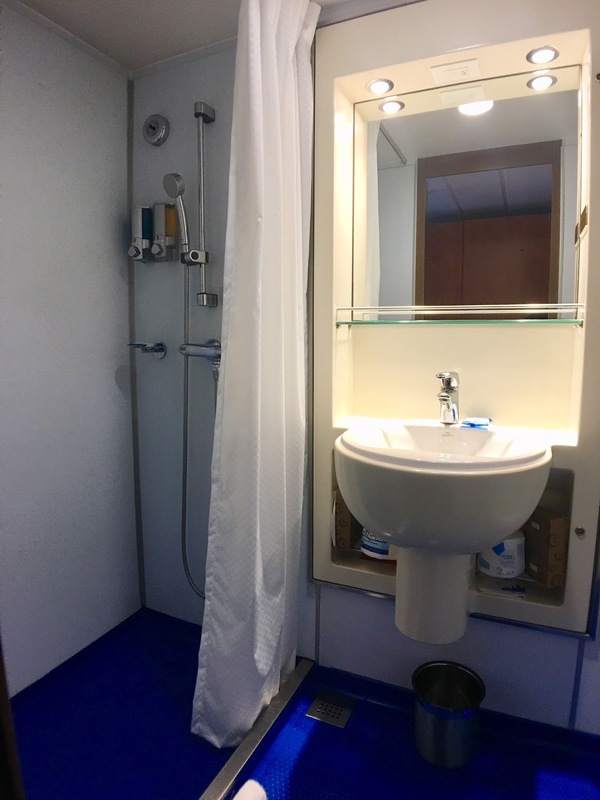 Let's start off by giving you a look at our Stateroom! 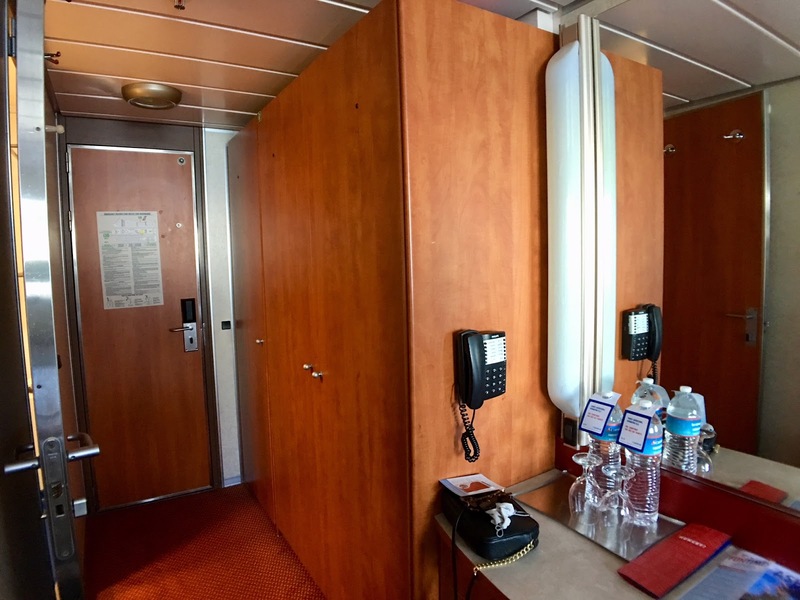 Stateroom: Our room was a beautiful Aft Ocean View with a large window. While you an request 2 Twin beds, we requested a King instead. 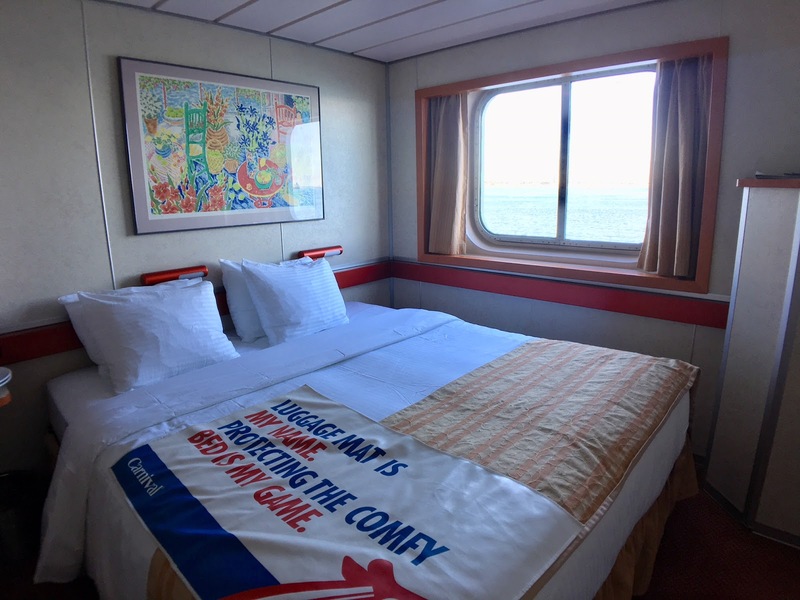 I didn't expect this from a Carnival Cruise but the mattress was one of the most comfortable mattresses I've ever slept on - crazy, right? The "Aft" means that you're in the back end of the ship, which I loved. We were right by the last elevator and staircase with quick access to dining and our favorite bar, the Alchemy Bar (we'll get to that in a second!). The housekeeper came to greet us when we checked in and they had the best service. 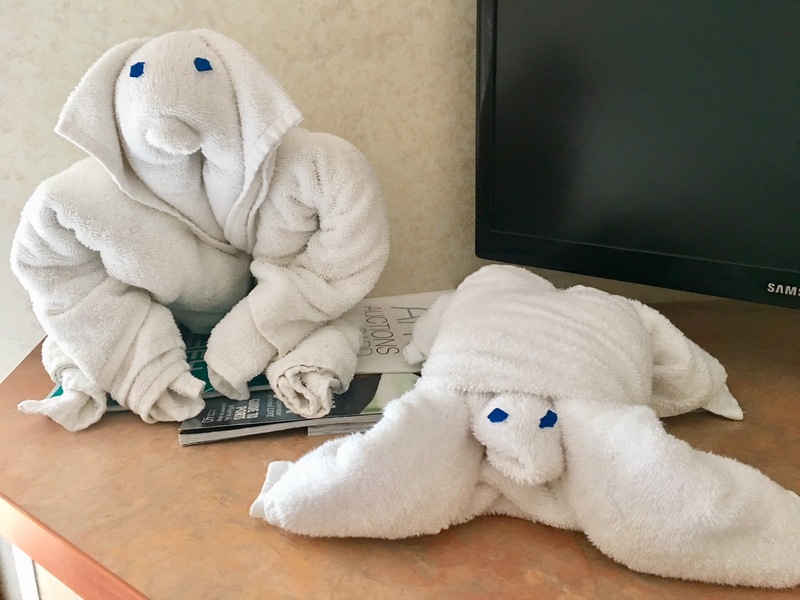 Each night, our room was clean with crisp sheets and adorable towel animals that's original to Carnival Cruise. Quite frankly, I expected to be crammed in a smaller space and was pleasantly surprised. 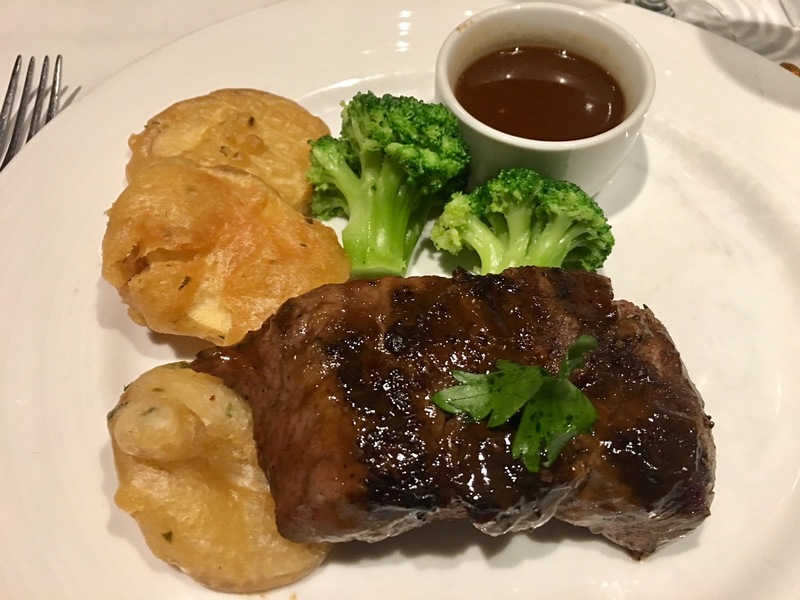 Dining & Drinks on Carnival Imagination: On a ship that holds over 2,500 people, there's obviously tons of dining and drinking options. I have to share some of my favorites! Spirit Dining - Spirit Dining was the scheduled, 'formal' dining experience with assigned seating. It's a 3 course menu with lobster, steak and more. It's absolutely a blast since the waiters are fabulous with great service and not to mention the final farewell dance and singing. 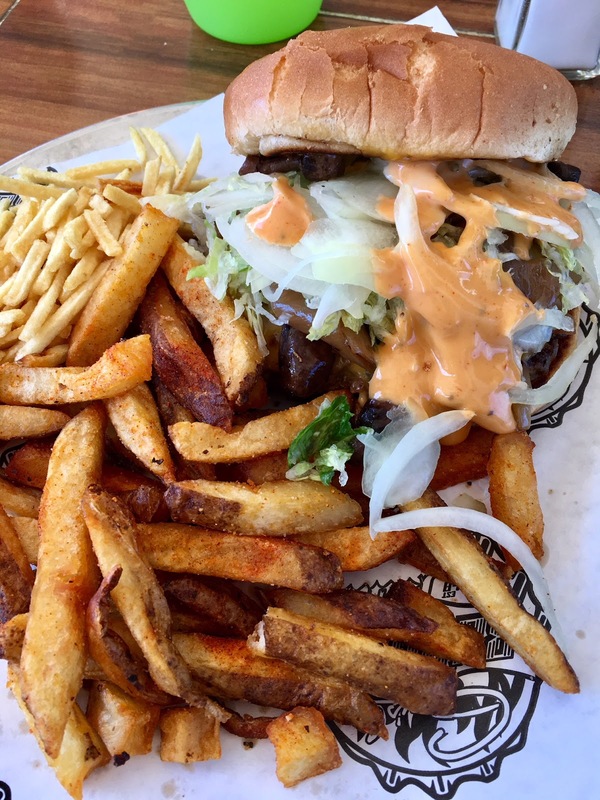 Guy's Burger Joint - Yup, it's the "Guy" you're thinking of - Guy Fieri's Burger Joint! The burger patties are thick, delicious and with a variety of toppings to choose from. I think I ate there 2 times in a span of 3 days? Ha! 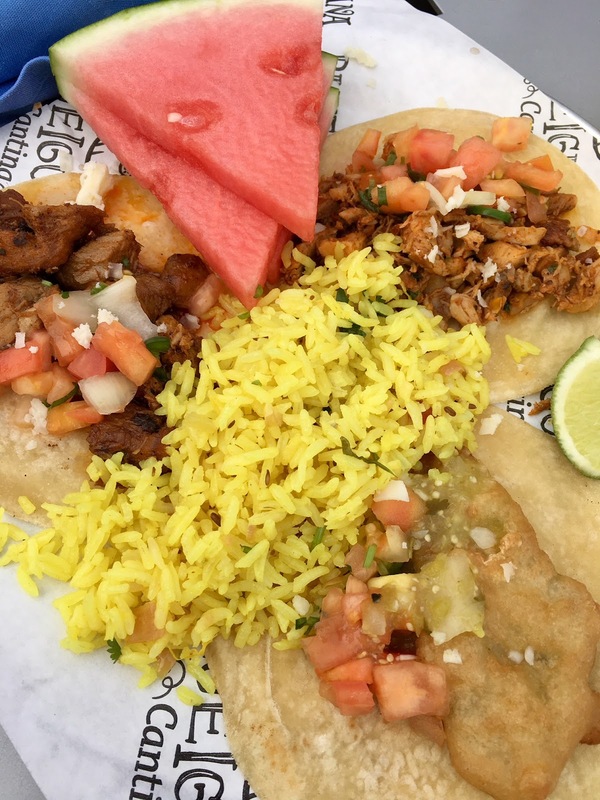 Blue Iguana Cantina - If you love tacos as much as I do, you're going to want to stop by the Blue Iguana Cantina for breakfast and lunch. Grab a breakfast burrito to start off your day and stop by at lunch for tacos or a burrito. The tortillas are made from scratch and the seasoning of the protein is to die for. No shame, I ate here 3 times! Alchemy Bar - If I could visit the Alchemy Bar every single day of my life, I would. 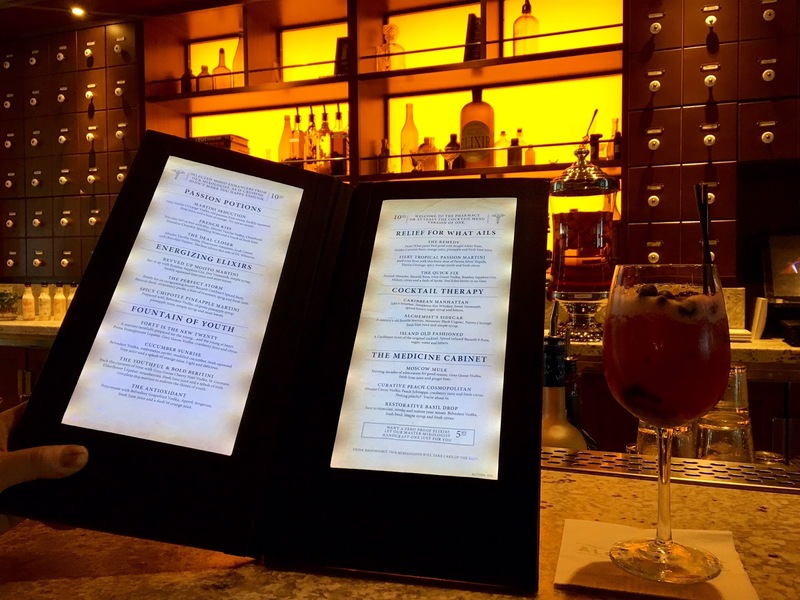 This craft cocktail bar is one of my favorite bars of all time and that says a lot since I'm very picky about my alcoholic drinks. It has a Rx theme and the menu has items that are 'prescriptions'. The bartenders are master mixologists and we frequently asked them to surprise us - and they did! The drinks are the priciest here but in my eyes, completely worth it. Red Frog Rum Bar - Want some tropical drinks in hand for laying out or a dip in the pool? Red Frog Rum Bar makes the best Miami Vice and Pina Coladas! 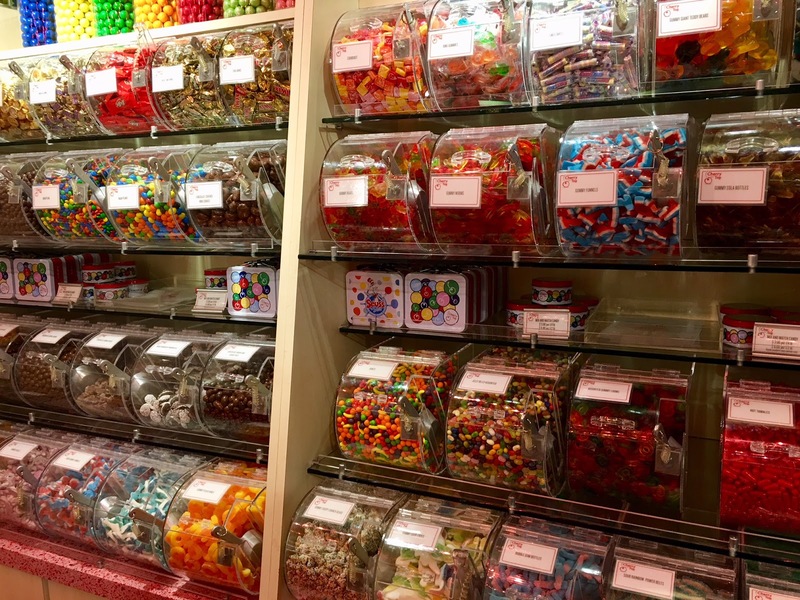 Cherry On Top - It's not only kids that love a good candy store! If you need to please your sweet tooth, head to Cherry On Top for a sweet time. After savory dinner, I was in the mood for chocolate and headed straight there. 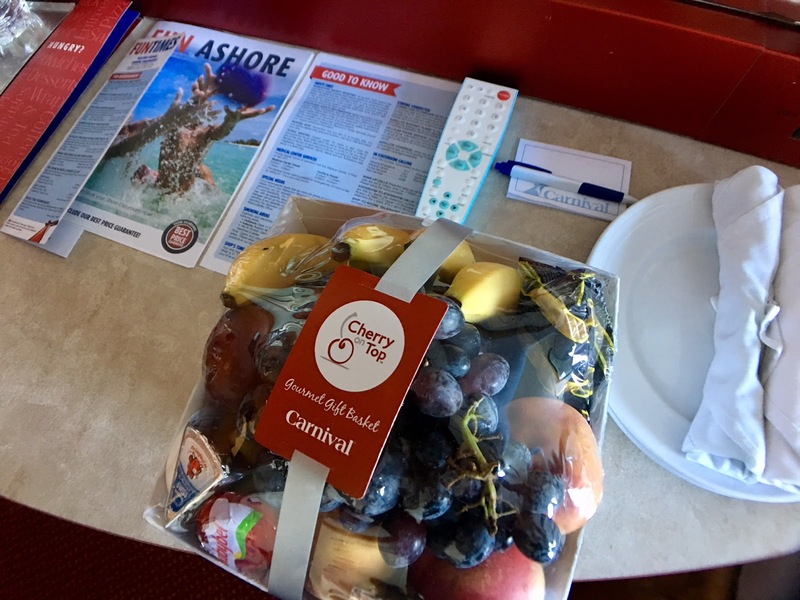 I carried around my bag of chocolate, nuts and sour gummies through the ship as happy as can be! 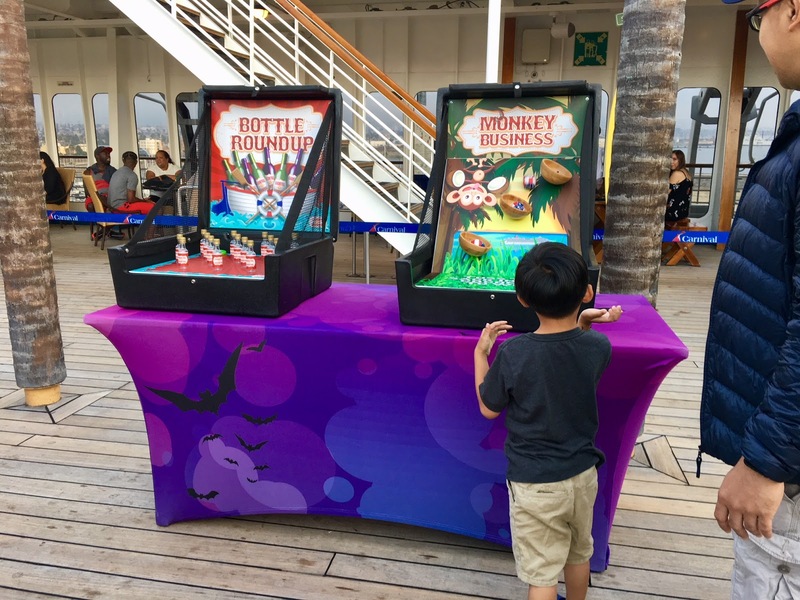 Halloween Festivities: Since this Carnival cruise had a special Halloween theme, there were plenty of festivities going on for all ages. Halloween being one of my favorite holidays, I was giddy to participate in as many activities as possible. Oh and let's not forget, I finally got to dress up as a Slytherin Prefect and Adam as a Ravenclaw Prefect! 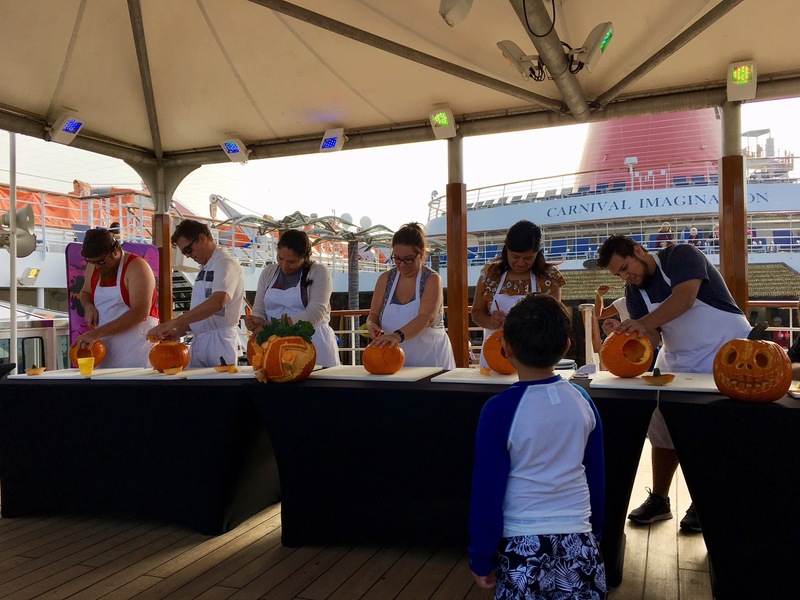 Some of the Halloween events hosted on Carnival Imagination were: Pumpkin Carving, Trick or Treat, Halloween BINGO Fall Harvest Festival, Costume Contest, Halloween Arts & Crafts, Costume Meet & Greet, Spooky Stories with Alex (the Cruise Director). 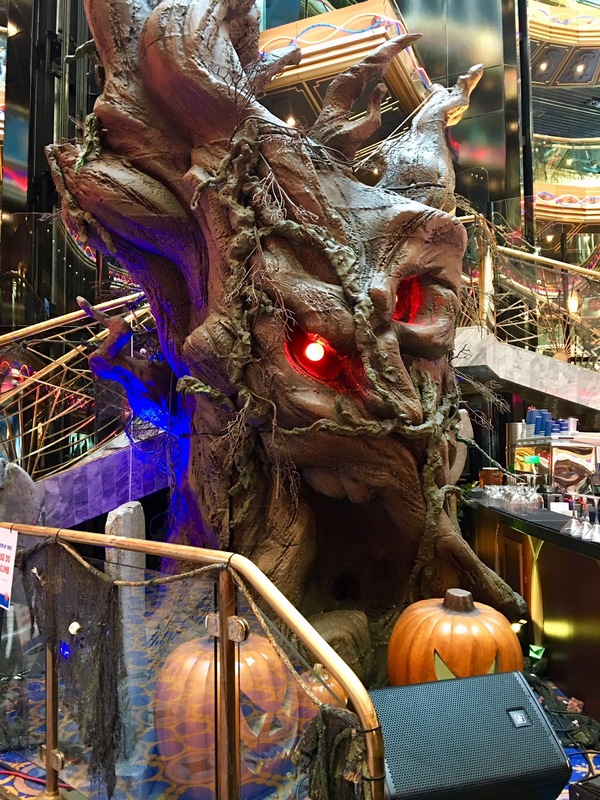 Other Activities on Carnival Imagination: While this particular cruise was a Halloween voyage, there's obviously a lot more that the Carnival Imagination offers on board. 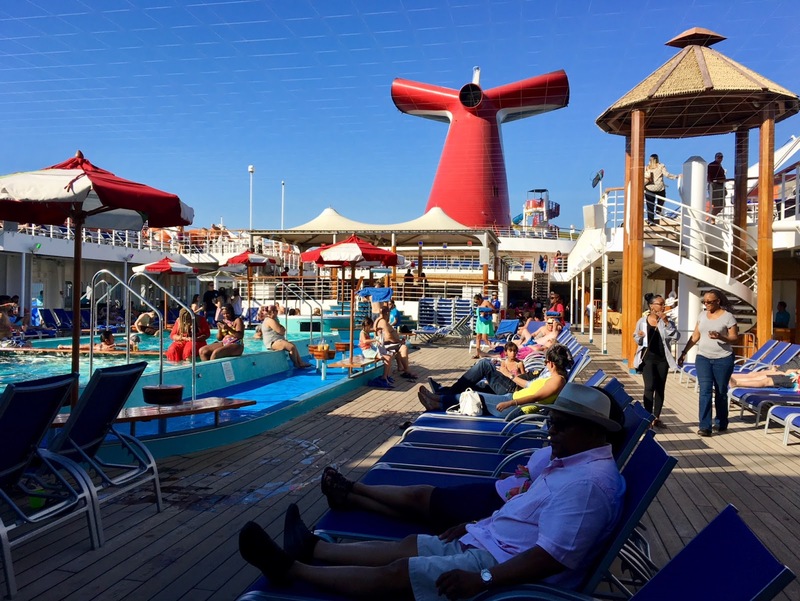 Here's a few highlights of what you can expect onboard any Carnival Imagination, Halloween or not! Dr. Seuss Green Eggs and Ham Breakfast....and so much more! 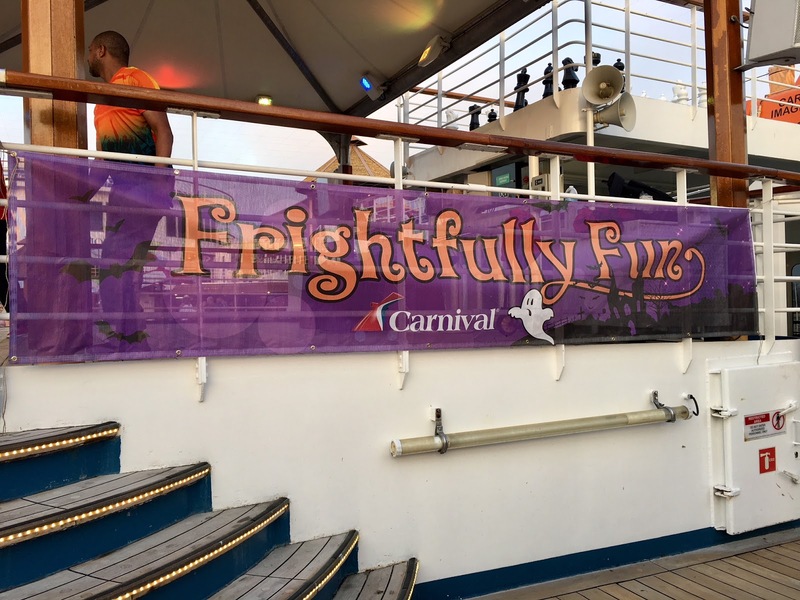 What do you think of the Halloween Cruise from Carnival? Would you be interested in taking the voyage? What's your experience with cruises? Let me know in the comment! Just got back from cruising with Carnival last week actually & it was AMAZING! Your Halloween cruise looks fun as well! Oh, this looks all so comfy!! What a treat!! I enjoy cruising but have never cruised with Carnival. It looks like a lot of fun to be sailing during Halloween. Ive never heard of a carnival cruise before but they sound so much fun!! Those spooky halloween towel are so sweet!!... I'm pretty sure they would've needed to roll me off the boat if I'd been surrounded by all that great food though!! I've never taken a cruise before, but it sounds like it would be a fun and relaxing way to spend a couple days. I have NEVER been on a cruise, but it looks like so much fun that I wanna book one now! How awesome! I just love Halloween so you picked a great time to go. 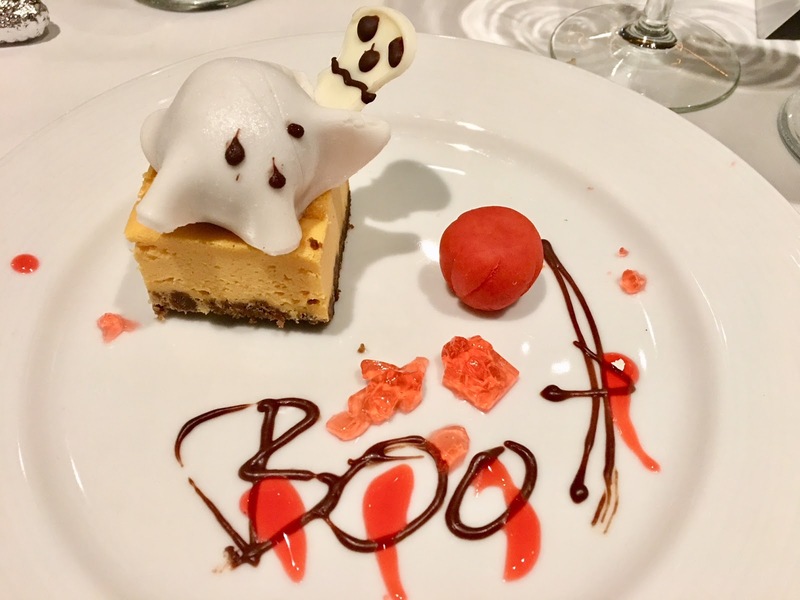 The ghost dessert was just darling! I love the boo cheesecake.